This piece comments on the recently blurred line that separates art and architecture. Buildings sometimes look like sculpture, and sculptors are turning buildings inside out to create art. It can be read from the top down Art as Architecture, and from the bottom up Architecture As Art. 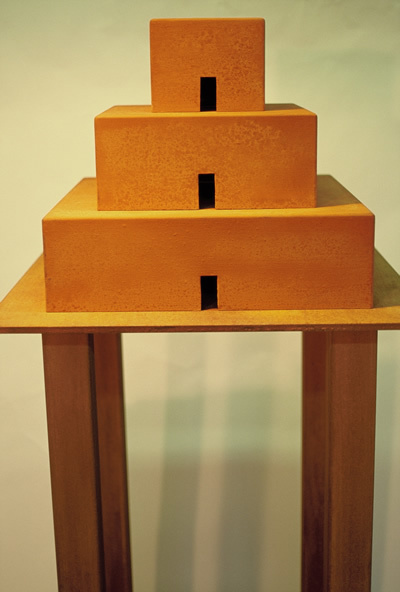 With one intervention, a simple cube becomes a chair and the cut-out remainder becomes a stool: an evocation in granite of the living room easy chair. 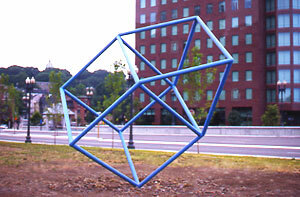 I envision a grouping of these functional sculptures scattered around a courtyard or building lobby. This series of 5 architectural bronze tabletop sculptures could be considered models for larger monumental pieces. 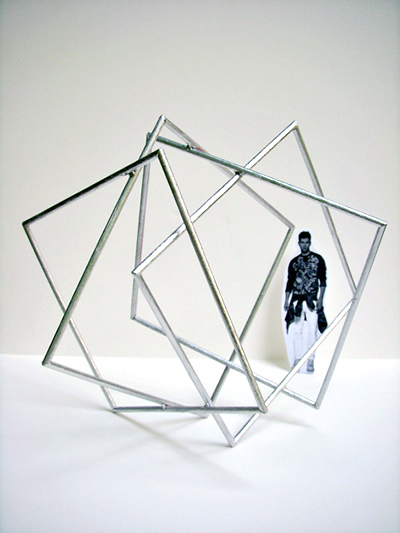 Approximate Dimensions: 8' x 2' x 16"
This sculpture comments on the history of design, and the difference between a functional utilitarian object, and a nonfunctional poetic object. In this piece the classic wooden kitchen chair is used as a template for a contemporary sleek steel chair.